Strolling tables is the latest trend for any occasion whether it’s a birthday or wedding celebration, or a corporate gathering. This service will be ideal for the two guests that is meeting and guests experience. The style and effortlessness of living human tables will design any party charming and be delighting the eye of even the most modern group of onlookers. Typically strolling tables are beautiful and professional models, actresses or hostesses dressed up into the appropriate costume and standing in the center of a table-type dress. Anyone can come up to the strolling table lady and not only feast himself from her table but also talk to the girl while waiting for the party’s main part beginning. Strolling table ladies can tell you about the dishes and drinks that are served on their table-dresses, about the event or party format and simply create a pleasant relaxed atmosphere. We are happy to offer you its strolling tables for hire in Goa which, no doubts, will vary and well savored your special event with unusual service type. 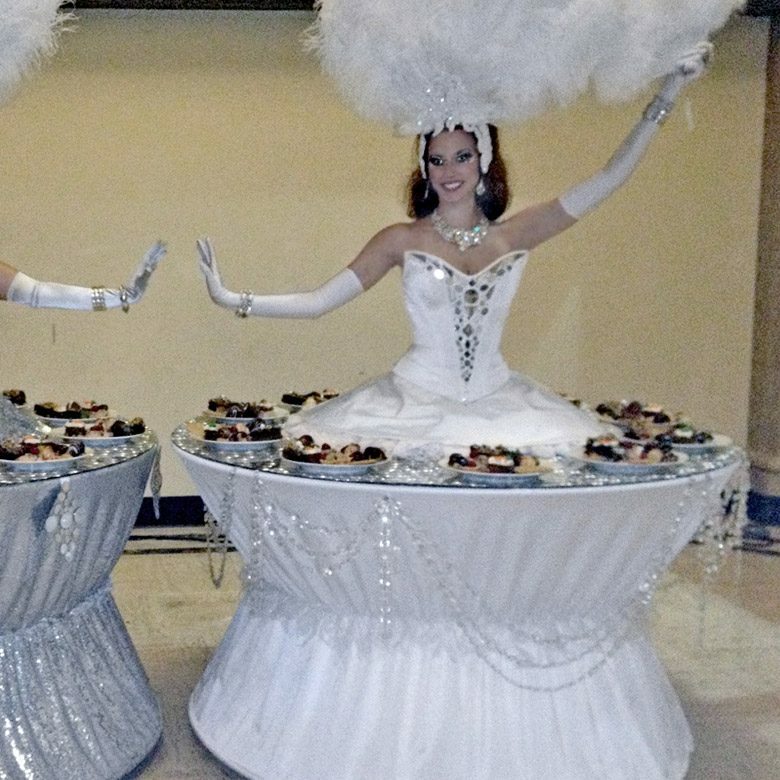 By inviting our professional strolling table actresses and models you will make your party bright, exceptional and even exclusive as the strolling table appearance will absolutely attract everyone’s attention turning a holiday into a magical event. We will serve drinks, beverages,snacks,canapes,fruits,cookies,sweets,gifts and small souvenirs,Some promo leaflets and flyers.